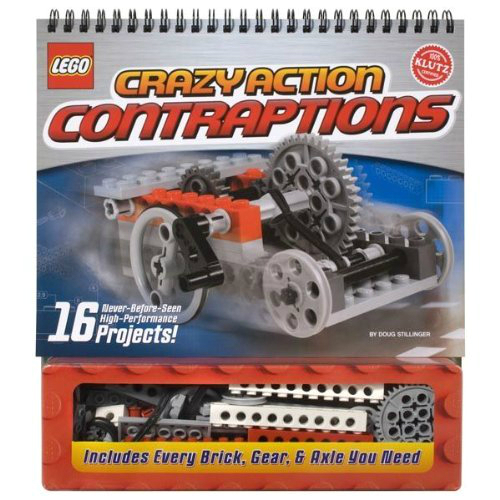 What a cool collection of whacky, brilliant, off-kilter gizmos! 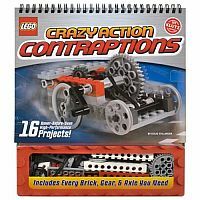 But get a load of the 16 different high-impact, high-performance vehicles and contraptions kids can create with them in the Klutz Lego Crazy Action Contraptions book. 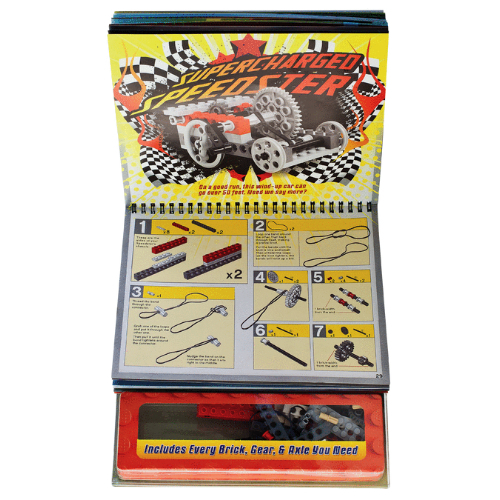 A great, 50-pg book from Klutz makes following instructions as much fun as building. 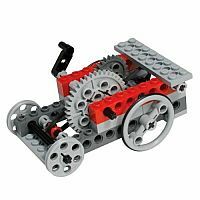 Includes every LEGO brick, gear, wheel and axle kids need to make it happen. 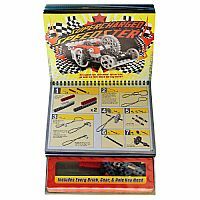 Ages 7 to 12 years. Measures approximately: 9.00 x 10.25 x 1.25 inches..